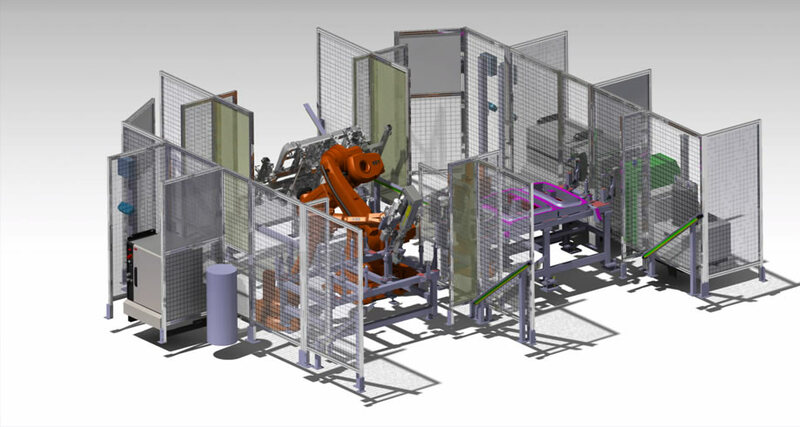 The process requirement was to implement 2 waterjet cutting systems and to develop a cost effective robotic alternative to the conventional headlining finishing press technology. 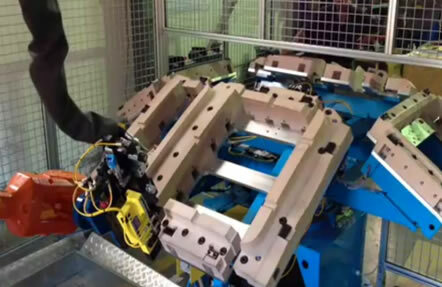 MSG Systems replaced the existing conventional press and clinching process with a robotic cell comprising of an IRB 6600 to perform the part handling and press application, 2 x IRB 2600’s to perform the sealer application and an IRB 4600 to automate the manual method of clinching. 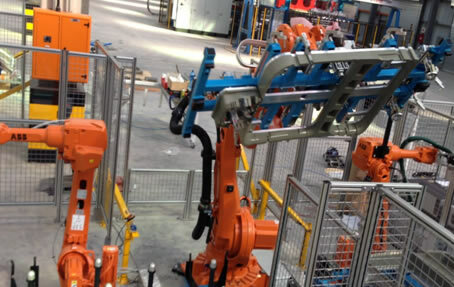 The benefit of the robotic solution gave Johnson Controls the ability to quickly accommodate Mercedes Benz simultaneous engineering requirements and replaces the conventional carousel press system with a flexible solution that can be “re tooled” for future models. 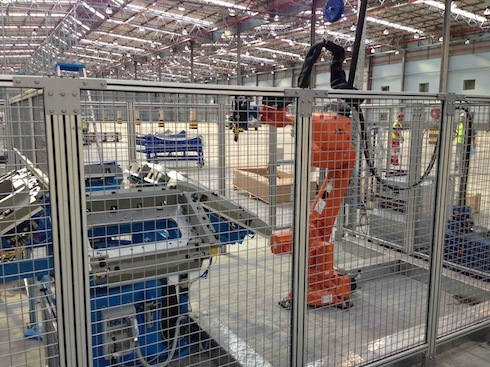 The system was designed, manufactured installed and commissioned locally in South Africa.